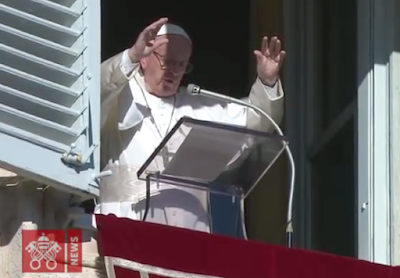 Francis giving the Birkat Kohanim blessing in the Sephardic manner. To welcome in the new year, on Tuesday 1 January 2019, Francis decided to scrap the usual Catholic blessing invoking the Father, Son, and Holy Ghost, and replaced it with the Birkat Kohanim blessing. And today the liturgy refers to the very ancient blessing with which the Jewish priests blessed the people. It states: “The Lord bless you and keep you: The Lord make His face to shine upon you and be gracious to you; The Lord lift up His countenance upon you and give you peace” (Numbers 6:24-26). The priest repeated God’s name, “Lord,” thrice, extending his hand over the assembled people. In the Bible, in fact, a name represents the reality itself that is invoked and so, “to put the name” of the Lord on a person, a family, a community means to offer them the beneficial strength that flows from Him. Knowing Francis’ penchant for all things Talmudic, his claim that he has an inner-Jew, his homilies filled with anti-Christian rabbinical ideas, his telling of blasphemous jokes to Jewish friends, and his vast collection of Judaic books, it should come as no surprise that Francis pulled another fast one. In 2016, Francis received for his 80th birthday a replica of the oldest Birkat Kohanim known from his good friend and often guest at the Vatican, Rabbi Isaac Sacca. What amazes us at Call Me Jorge... is that while everyone is arguing over who the pope is (Francis or Benedict), the Viganò allegations, or is mesmerized by Francis’ redefinition of the papacy hardly anyone notices as Francis slowly and methodically incorporates Talmudic Judaism into the Novus Ordo. As we grow tired of writing, Francis and his cronies will not be content until St. Peter’s resembles a synagogue and the Vatican a shtetl. 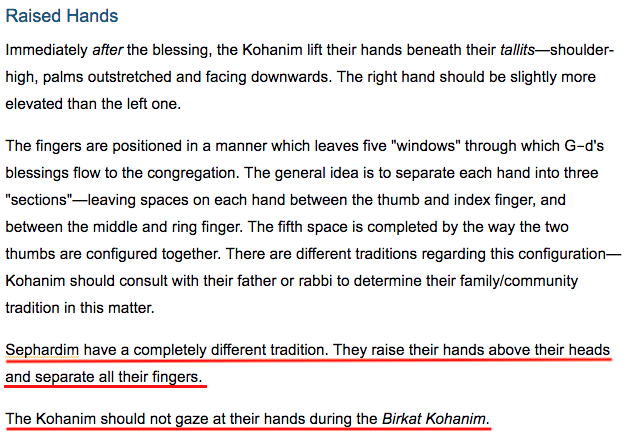 With this Birkat Kohanim ‘blessing’ another nail has been hammered into that coffin. Thanks to NovusOrdoWire who brought this New Year’s ‘blessing’ to out attention. the new evangelization — it’s pizza time! Saint John Paul II believed in reincarnation!